You are here: Home / budget / Who to Pay First? Yourself! Who to Pay First? Yourself! If you have followed our advice over the past few days you know how much money you have, how much that you owe, and have established a goal for your money. Now the question is: “Who to pay first?” You should pay yourself first. The money should be used to pay your debts and expenses and then put into a savings account, not spent at a department store. 2. Pay-off late or overdue bills. 3. Pay-off highest interest rates first. Reduce the balance on the debts that have the highest interest rates. Determine which credit card has the highest interest rate, which may not be the largest balance you owe. 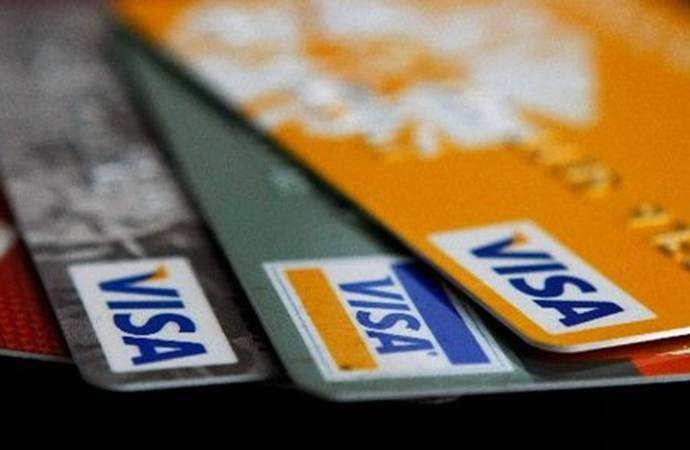 Interest rates may change so review all your credit card statements. 4. Always pay the minimum. Pay as much as possible every month but always pay at least the minimum required payment. It is better for your credit rating to pay a small amount in a timely manner than paying a larger amount late. Click here to use a free debt worksheet from Michelle Jones. 5. Close credit cards. This is also a good time to close credit card accounts that have high interest rates, high fees, or are unused. But conversely, always having at least one credit card open helps credit. 6. Plan your bill paying. Anticipate your bills. Do not be shocked by a car insurance premium that is due every year at the same time. Paying your bills online, when possible, ensures the bills will arrive on time and you won’t get late fees. It is easier to schedule your payment online rather than being subject to the vagaries of the postal service. Take charge of your debt. Do not be ruled or overwhelmed by debt. 7. Pay with cash. If you do not have the money to buy it, it will have to wait. Do not take your checkbook or credit cards with you when shopping. This will keep spending down and keep you out of debt. Remember: To protect your credit rating, it is better to pay the minimum balance in a timely manner than to pay a larger amount late. Tomorrow: Starting an emergency fund. Do you have any tips about getting out of credit card debt? This is perfect for me right now. I am drowning in credit card debt and only hope by living-in in my new nanny position will help me save and start paying off the credit cards.I guess like many I just was spending not realizing how high the interest rates are. Thanks for sending me a free sample budget and thanks for the good advice. You are doing good work. I appreciate it.Brooke L.
I am so far into credit card debt but ready to tackle it. My bonus did go to highest interest rate credit card. Perfect series of articles now that I'm ready to get out of debt.